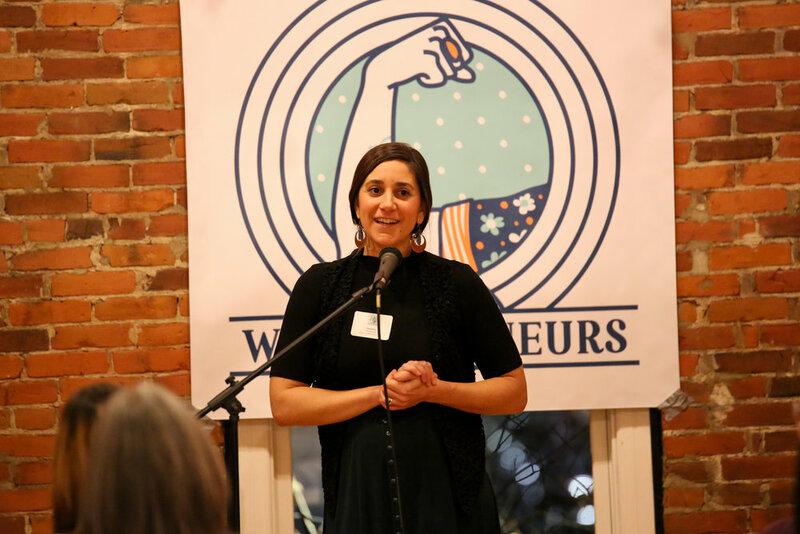 The VT Womenpreneurs Showcase is made possible by our sponsors and creates an opportunity for us to promote your business or organization through our growing digital and community presence. The Showcase provides a genuine opportunity for attendees to put a "face" and story to women-owned businesses through networking and social media posts shared by individuals during and after the event. We have three sponsorship levels for your business/organization to get involved in this event. If you are interested in sponsoring, please fill out the Sponsorship Form below. We are happy to answer questions you might have about the sponsoring this event. Featured story plus 2 scheduled posts with your copy of shareable content on VTW social media (pre- and post-event). Recognition on VTW social media. Logo + link on VTW website & printed program. Participants will receive Community Leader sponsorship benefits (see above) for the services they provide to the Showcase. INSTRUCTIONS: Please complete this form and select a sponsorship tier. In addition to the required information (*), we appreciate you answering most of the fields which will allow us to create promotional material about your business on our site and social media sites. Please select a sponsorship level for your business to support this upcoming Showcase. Please note the sponsorship pledge $ amount or value of in-kind service you are contributing to the Showcase. NOTE: we are not accepting food or print sponsorships at this moment. If you are providing an in-kind service, please describe what service you are providing to the Showcase. How many employees do you have including yourself? Would you like to include samples or business materials in our Showcase swag bags? Please answer if you are pledging SHERO or COMMUNITY LEADER sponsorship levels. Please provide your bio as it relates to the creation of your business. Thank you for filling out the sponsor form and your pledge. Mieko Ozeki will be in touch shortly. If you have any questions before then, please email Mieko at mieko@radiancestudiosllc.com.